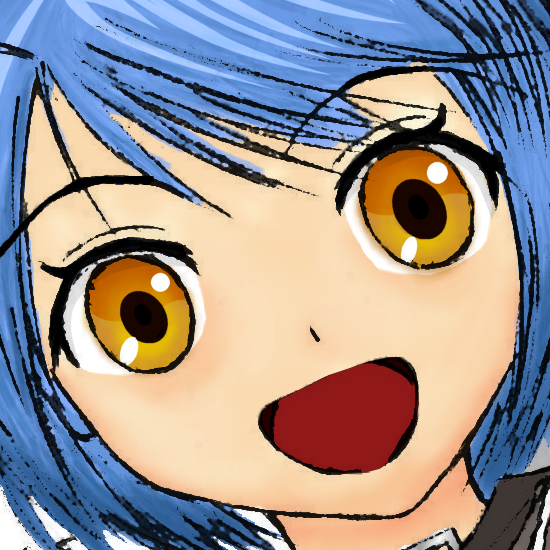 magic girl closeup blue hair yellow eyes paint shop pro wacom tablet layers vector pen tool anime eyes animu. Sneaky preview of the cosplay banner. Used Gavin Leung's sketch, coloured it in by request, and posted this here headshot at 1:1 drawing resolution. Tools: paint shop pro, brush, wacom tablet, lots of layers, vector pen tool. Done in my amateurish animu style.